Temple Beth Israel is inviting you to join and sing with our Temple Choir. We sing weekly and have rehearsals generally every other week. No prior experience necessary, only a love of singing. The Temple choir sings every Friday night for the 7:15 p.m. Shabbat Service. We rehearse at 6:30 p.m. in the choir room. It is fun, it is good for your spirit and it is uplifting for us and for the Temple service. If you are interested, contact Ann Stephenson-Moe (941) 735-4606 or email annstephensonmoe@gmail.com. Music is an integral part of our religious services as well as our Temple life. We join in song during our services with our Temple Choir. We are indeed blessed with a choir of thirty voices with four professional vocalists and an organist. Under its founder, Florence Katz, it has achieved a position as one of the leading choral groups on the West Coast of Florida. 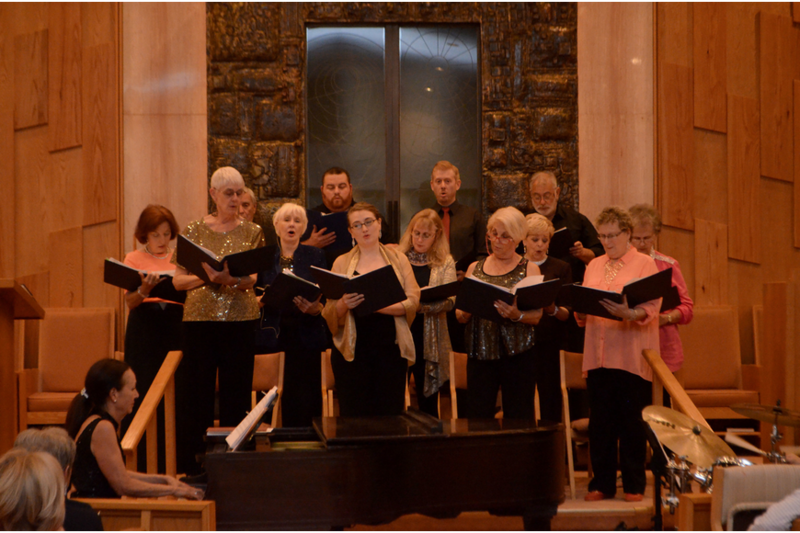 The choir participates in all holiday and Friday night Shabbat Services and performs at least one special concert for the congregation and members of the community annually. Among other appearances, it is the major choral group at Longboat Key’s Annual Interfaith Service. We greatly acknowledge the consistent contribution of our volunteer choir. They have dedicated time and effort to enhance our services with their beautiful voices. We extend special thanks to Ruth Kreindler for her generous gift to the Music Program, since 2013, in memory of her beloved husband, Lee.